This weekend is full of fun! Check out all the live music, snowshoeing, Fat Biking and Brewery Tours. Check it out! Check out daily happy hour specials by clicking here. Check out lodging deals in Breck right here! The days are getting longer. It’s starting to get a little warmer. Birds and other animals that haven’t been seen too much in the last few months are starting to make their way back from their various winter haunts and people across the country are counting down the days until that one precious week in March when schools see fit to cut the children loose. That glorious week also known as spring break is almost here. It’s a time to get away, step out from the busy lives that each of us leads and let go for a week. For those coming to Breckenridge to shred, March is a great time to let it out and throw down just a little bit. Here are some ideas on how to fill your nights (and days) this Spring Break in Breckenridge. Party: Isn’t partying what spring break is all about? In a one-mile stretch of town Breckenridge there are a lot of restaurants and bars, almost 100 in fact. There is no shortage of places to go for a meal, drink, entertainment and plain old good times. From Apres’ to late night, Breckenridge has a spot for everyone. Almost every night in March there is live music, trivia games, comedy, killer deals and plain good times. 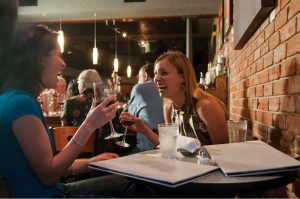 A great resource for finding the best deals and events in the local restaurants and bars is imnotatwork.com. Check it out and start planning your good times now. Relax: Spending all day slaying powder is hard work and weather you decide to rip some turns or not there is nothing better than a massage, body wrap or any spa treatment to ease achy muscles and recharge a tired spirit. There are many spas all over Breckenridge so these is no shortage of different types of massages and spa treatments. Check out our recent blog on spas in Breckenridge for some great spa options in town. Music and Arts: One of the coolest things that Breckenridge has done in the past few years is ramp up town’s cultural offerings including the creation of the Breckenridge Arts District or CreateBreck.org. 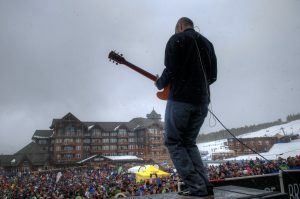 Breckenridge has the second largest arts district in Colorado and Breck Create has done some very good work to bring in a variety of performing acts that span from rock bands to art exhibits to events. This March events such as the Banff Mountain Film Festival and bands like Donovan Frankenreiter, Comedy performances like Sandra Bernhard and much more are on tap. Click here to see the full lineup of events produced by Create Breck. Try something besides skiing: Spring is still winter in Breckenridge and skiing is why it is so popular here in March. Of popularity comes with a price and that can be crowded slopes especially in March. Of course regardless of the crowds, you should ski and ski a lot! But consider taking a day to try a different winter activity like dog sledding, snowmobiling or cross country skiing. All of these activities are perfect to try in Breckenridge. Here is a great blog on things to in Breck without skis. March is a fantastic time to visit Breckenridge. It is a time when everything is open and town is clicking on all cylinders. Spring Breakers rejoice! There is so much to do in Breckenridge. In fact we wrote a blog all about that. Here are 100 things to do in Breckenridge this winter. Don’t’ forget if you haven’t booked lodging for you Breckenridge spring break adventure yet visit http://www.breckenridgediscountlodging.com/. If you are looking for a way to enjoy the mountains in the summer there are tons of activities to try at the Summer Fun Park on Peak 8 in Breck. They have endless activities for kids and adults alike. They offer activities like the infamous GoldRunner Alpine Coaster, Alpine Slide, zipline, mountain biking, hiking, safari tours, Gold Summit climbing wall, bungee trampoline, tubing, mini golf and much more! Read about all the activities, here. There is hardly a better way to experience the mountain other than a hike to a bird’s eye view of the mountain ranges. Breckenridge is filled with countless miles of hiking trails. From novice to advance there is a trail for everyone to channel their outdoor enthusiast and enjoy all that that the majestic Rocky Mountains have to offer. Whether you love to mountain bike or are simply curious to try; Breckenridge is a great place to go! There are many shops in town you can rent from and plenty of trails to explore. Breckenridge is also a host to numerous biking events throughout the year including tours, races, demos and more. Check out Breck Bike Week going on June 23-25th for all you need to know about this event! 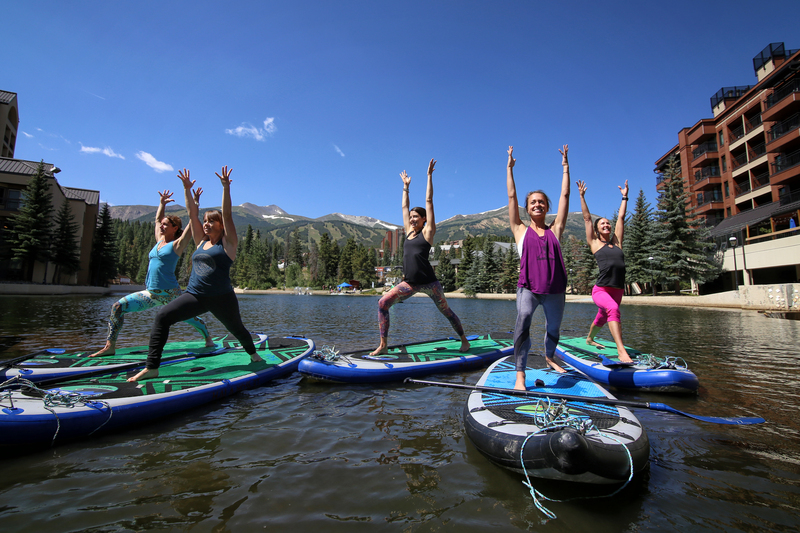 A newer activity to Breckenridge, stand up paddle boarding has become very popular. Stop by Maggie Pond for a morning or afternoon yoga session, or stop by anytime and paddle across the lake. Gold Medal fishing water is just minutes away from the town of Breckenridge. This calming but also rewarding activity is a great way to spend the day in the mountains. There are plenty of fly shops in the summit county area that can give expert advice on how to catch these native fish as well as guides who can take you on a journey to catching your very own Colorado trout! Dog sledding in the summer? Commonly referred to as “diggling”, it may seem like an odd thing to do this time of year, but is no doubt a fun and unique experience. Hang on the scooter and let the dogs tug you through trails in the mountains. Golf in the high country and watch your ball soar farther than ever before! 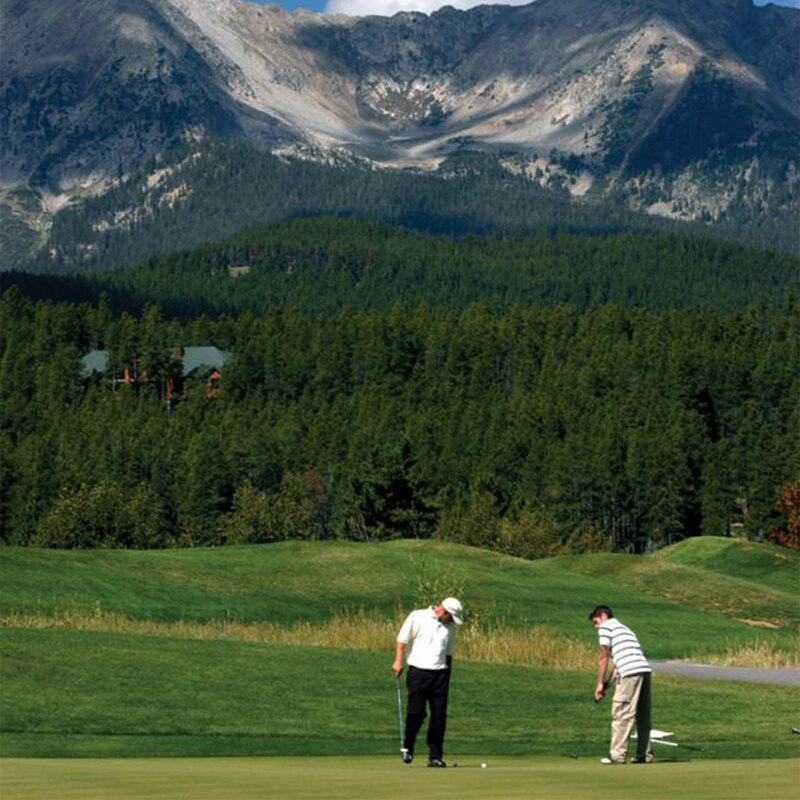 Breckenridge is home to three nine hole Jack Nicklaus Signature courses. This golf course has a variety of courses with the mountain views that will not disappoint. The golf course opens early May and closes early October. 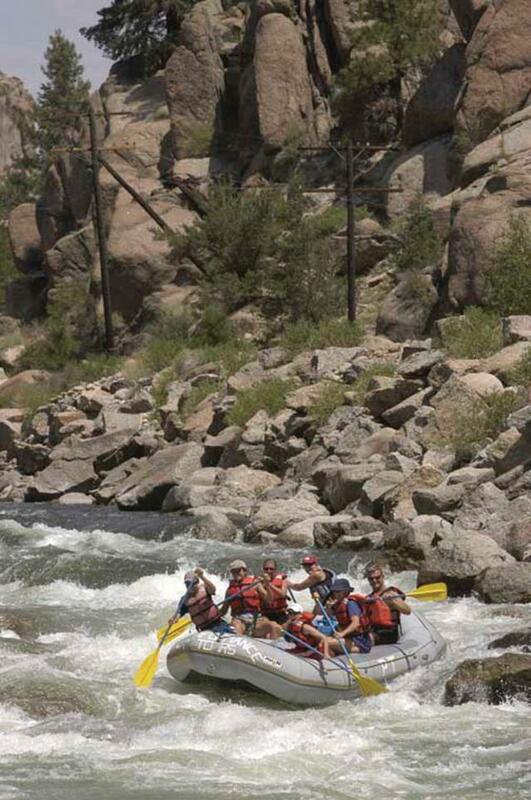 Get a thrill and float down the rapids of the Colorado River. Located about 45 minutes from Breckenridge this activity is a great way to spend a vacation with friends or family. There are plenty of rafting companies in Breckenridge that will take you out on the river and provide transportation to and from the river. Breckenridge is the perfect place to visit and experience an endless amount of activities. Whether bonding with family, relaxing with a scenic mountain view or experiencing adventurous activities, Breckenridge has something for everyone! Book your next vacation with www.Breckenridgediscountlodging.com and save money on your lodging today. 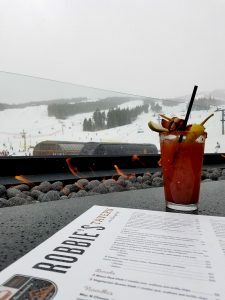 Robbie’s is a brand new, locally owned slopeside bistro, with unparalleled views. 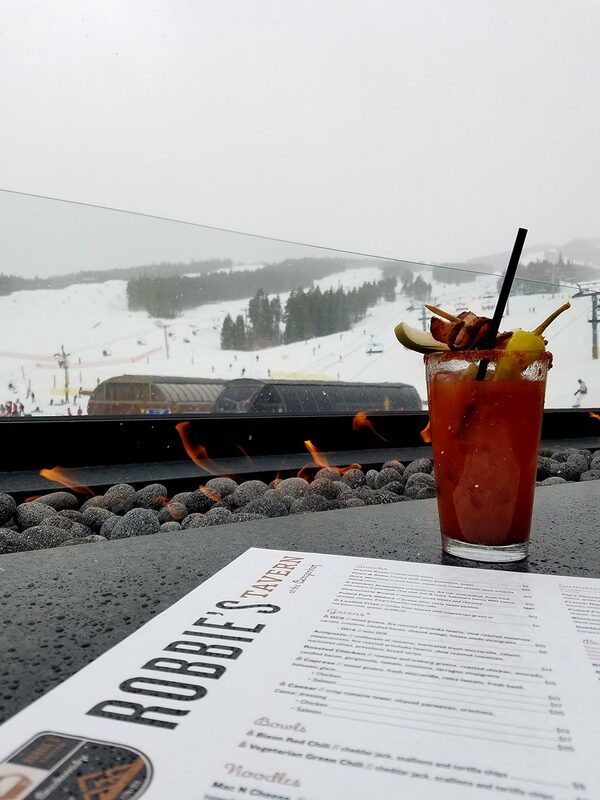 Located right at the base of Peak 8 within the Grand Colorado, Robbie’s is the new hot spot to grab a drink après skiing. We checked out their bloody as advised by some locals, and were blown away. It was seriously good; the perfect mix of vodka and tomato juice, perfect spice, and topped with BACON. Yeah, bacon. 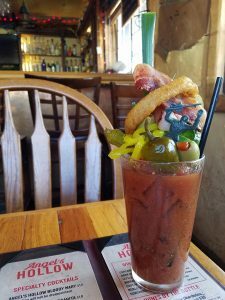 The Bacon Bloody at 6th Alley has been named the “Best Bloody Mary in Summit County, Colorado”. When you try it, you’ll see why. Not only does it come with a delicious strip of bacon on top, but they also use bacon-infused vodka! Bacon makes everything better. They are so good, that Abasin even has a lift ticket deal that includes a voucher for their famous bloody. Now that’s something we can get behind. 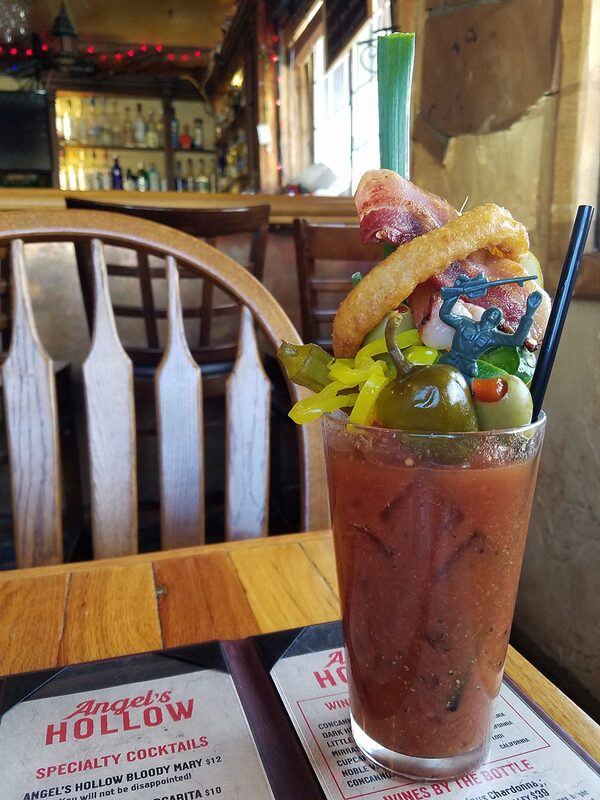 Angel’s Hollow is a local’s favorite and has a Bloody Mary that challenges them all. This drink is seriously stacked. There’s pretty much everything except the kitchen sink in this drink. It has to be seen to be believed. Watch out; this one is SPICY! MLT is known for their house infused booze, so of course, you get an infused vodka with your bloody. They garnish the Usual Suspect with a strip of bacon, olives, pepperoncini and olives. The Ultimate Bloody gets a little crazy. First of all, 32oz of booze. 32. OUNCES. Sign us up. Second of all, they garnish that baby with peppered bacon, a spam fry, and an entire chicken tender! Really reinforcing the whole ‘meal in a glass’ concept. If you’ve never been to the Crown, definitely check it out. It’s a cute little coffee shop right in the heart of Breck that has delicious breakfast, lunch, coffee and BOOZE! You can get all these delicious boozy breakfast drinks early in the morning because it’s a coffee shop so they’re open earlier than most places. They keep it local and use vodka from Breckenridge Distillery as well as 9600 Bloody Mary Mix. Then they basically top it off with a salad. Sold. So next time you’re in Breck and stay out a little too late, head to one of these spots in Summit County for a delicious hangover cure. Remember, you can’t drink all day unless you start in the morning! The last weekend of February is almost upon us. Check out everything going on this weekend in Breck!